March is reading month! 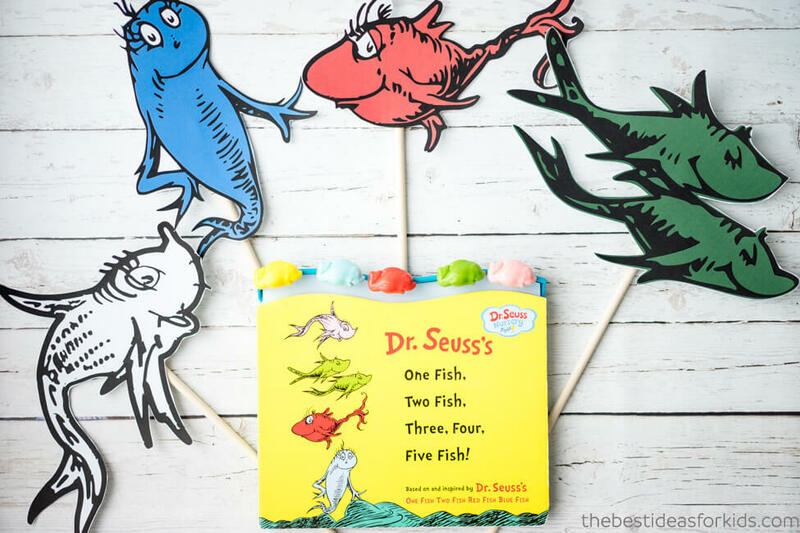 And to celebrate we have created a fun little activity to do with your kids when reading the Dr Seuss book One Fish, Two Fish. We actually own the Nursery Collection version of this book which is perfect for practicing counting! 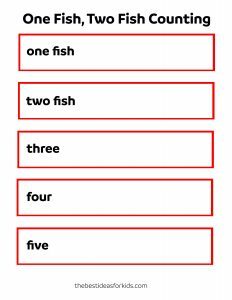 Included with this activitivy is a Free One Fish Two Fish Printable. 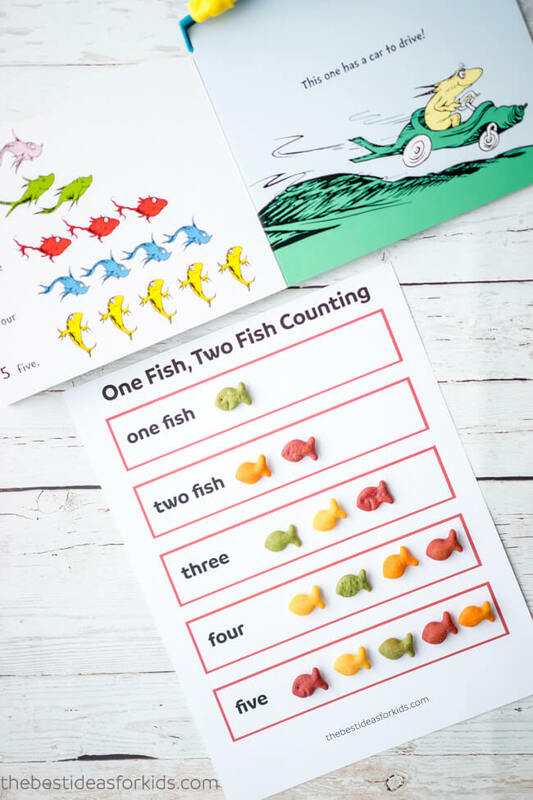 You can see the Nursery Collection version of the book with counting fish here. 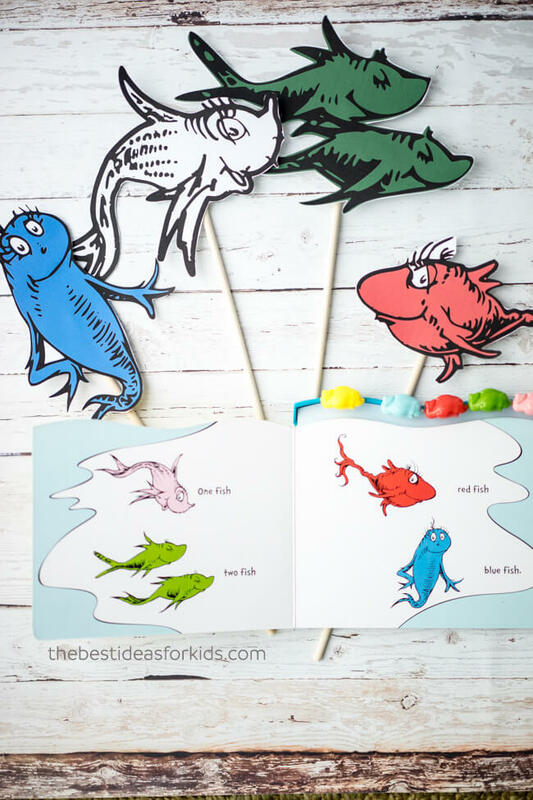 The first activity to do with this book is to create these adorable One Fish Two Fish printable puppets! 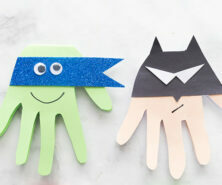 These are so easy to make and will be fun to play and count with! First I purchased these One Fish Two Fish clipart from Etsy. This set is a great Cricut cutting file too. 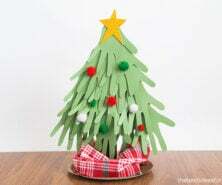 Print off your images on large cardstock. Then using craft wooden dowels, tape them to the back of the printable images. How easy is that? These are now perfect fish to act out the book with! Have fun counting the fish using the puppets! Now onto the counting printable! 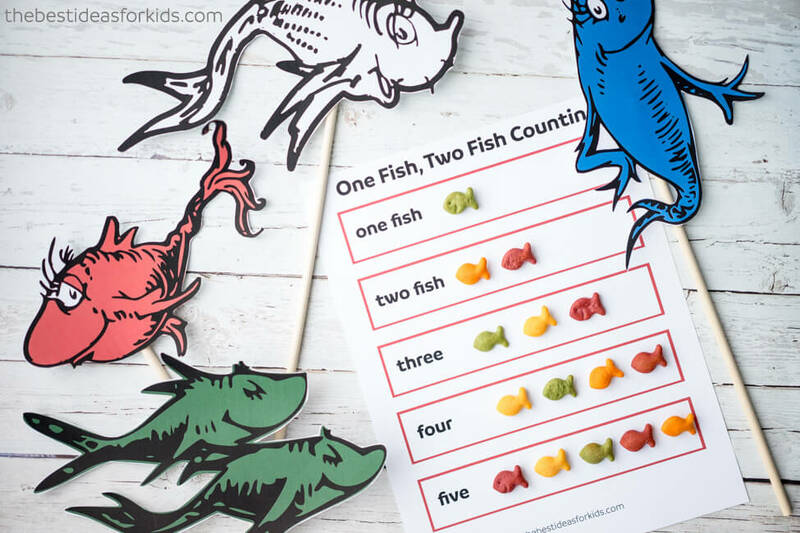 For this printable, I bought some colored Goldfish snacks to make the counting activity more fun (and you can have a snack break with them too!). 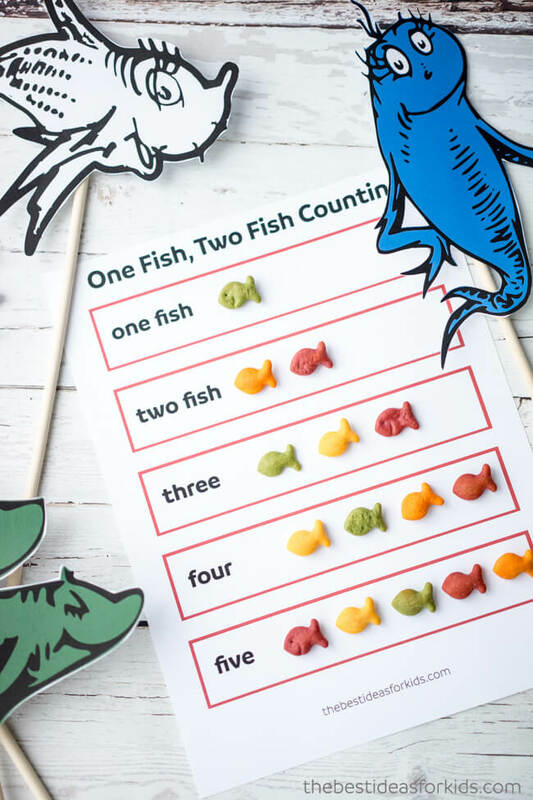 The One Fish Two Fish printable counts up to five, just like in the Nursery version of the book. Line up the number of goldfish on each line for the number. This is a great activity for your child to pick out the number of goldfish and place them on the counting mat. Have them count the goldfish after placing them to make sure they have the correct number! This part in the book is where the counting is and it’s a perfect match with the counting printable! 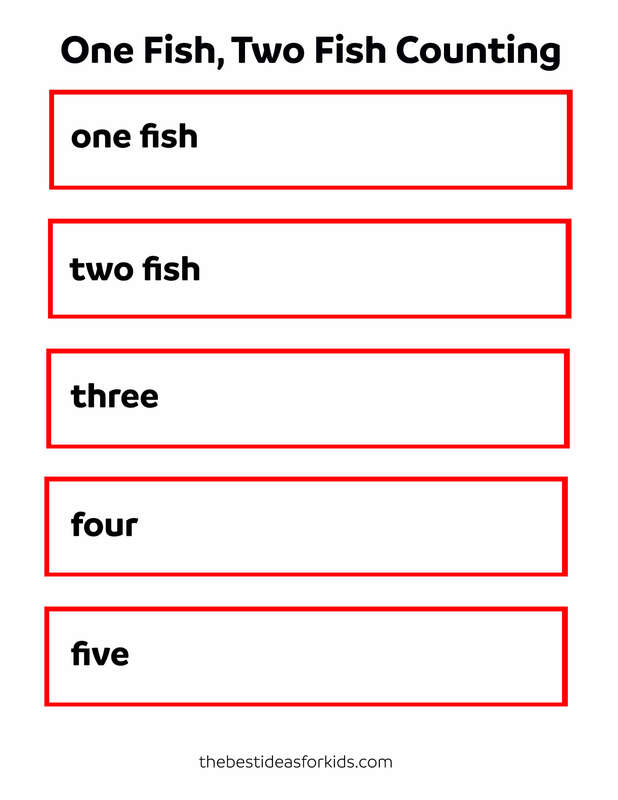 Get your Free One Fish Two Fish Counting Printable Here. 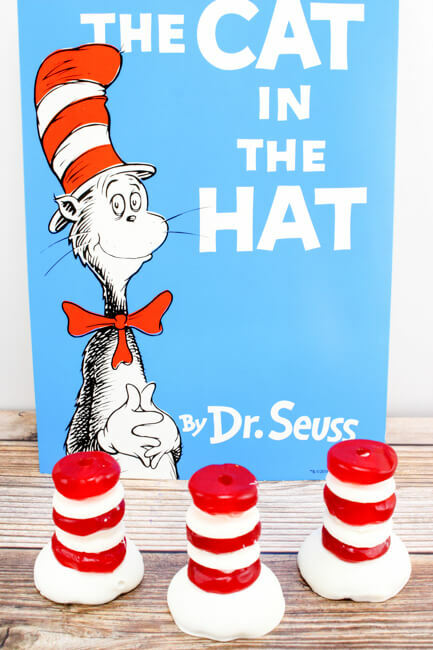 Looking for more Dr Seuss activities? Make these fun Cat in the Hat Treats with your kids! 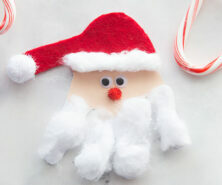 These are so good and easy to make!